Wisconsin Badger center Tyler Biadasz was considering turning pro and had put his name into the ring for evaluation. 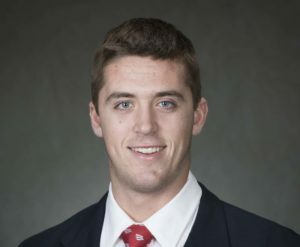 UW announced this week that Biadasz would not be turning pro and would return to Madison for the 2019 season. Teammate David Edwards announced that he would forgo his final season to enter the 2019 NFL Draft but the consensus first team all-Big Ten pick went the other way. When asked after the Pinstripe Bowl if Biadasz thought he was ready for the NFL, he said yes. But now it looks like an extra year of seasoning is the choice. 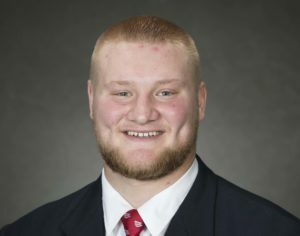 Biadasz’s return gives the Badgers four linemen back that started games in 2018. That group includes Cole Van Lanen, Jon Dietzen and Logan Bruss. Wisconsin’s chance at a third straight Big Ten West Division title took a big blow on Saturday with a 31-17 loss at Northwestern. The loss sent the Badgers to 5-3 on the season and 3-2 in the Big Ten. The Wildcats (5-3, 5-1) won their fourth straight as they stayed in first place in the Big Ten West by themselves. Northwestern also received additional help when Iowa fell at Michigan State and Purdue lost at Michigan State. The Badgers lost three fumbles, two by Jonathan Taylor and one by quarterback Jack Coan. The Wildcats turned those turnovers into 17 points. Coan finished 20 of 31 for 158 yards and a touchdown in his first collegiate start. He started for redshirt junior Alex Hornibrook, who suffered a concussion last week.